Press Conferences are sort of ceremonial. I think media attend out of pure enthusiasm and respect for the event and race organizers. Nothing is typically learned from the simple questions asked, but I enjoy seeing the interaction between the riders off of the bike. They are in a different mood on a non race day (the press conference is typically conducted the day before the race begins) and the general atmosphere is one of calm respect. Good humor and patience are most on display at any press conference. It takes some experience for a rider to handle and answer questions in a professional respectful way. After all they hear the same questions a lot. 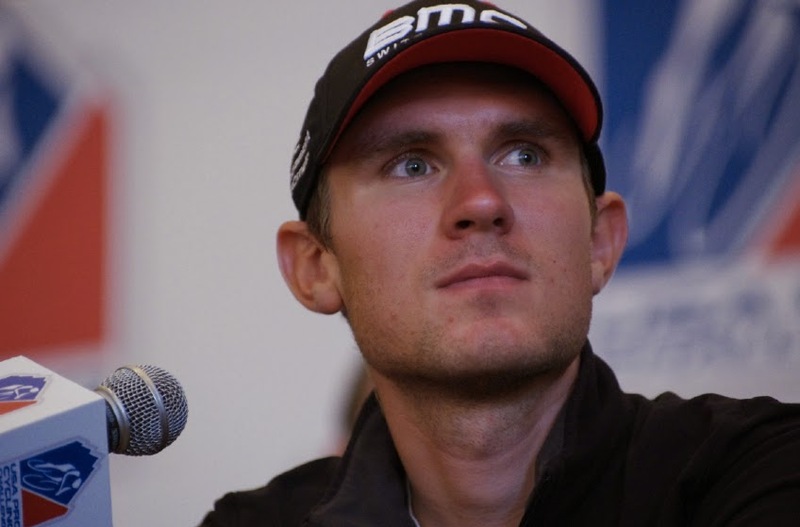 Highlights are typically when a young high school journalist asks a question, or when a rider teases another rider about a particular personality trait. 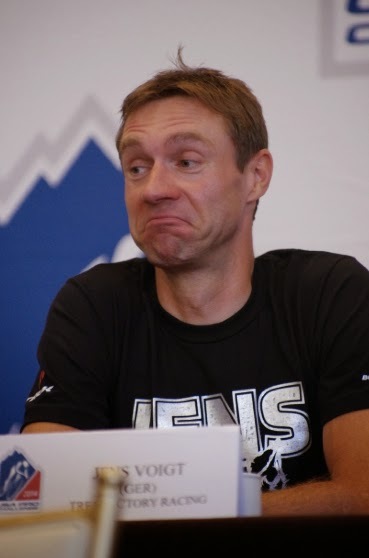 Other than that, I could assure you ahead of time that all the riders are happy to be in Colorado and all say they will race hard but do not know who will win. 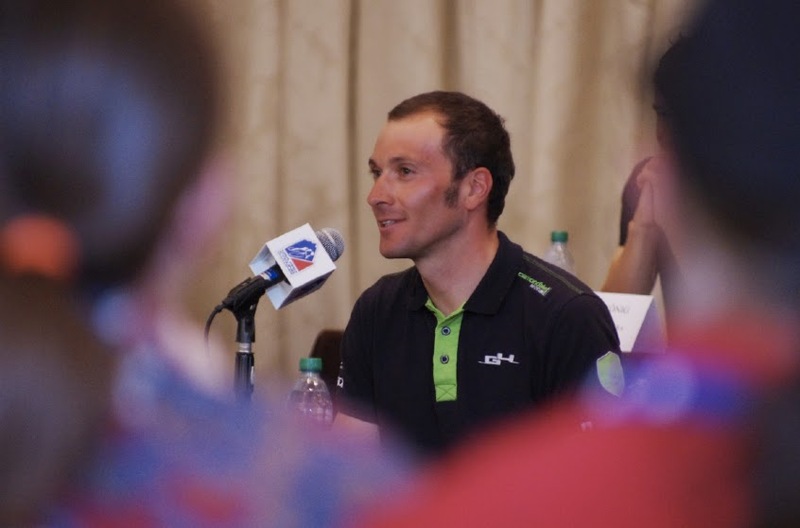 The most interesting questions were about the fewer number of ProTour teams at the USA Pro Challenge this year, mostly due to timing, injuries and competing races including the Vuelta a España. The other hot topic pertained to the shorter length of the stages in the race this year. 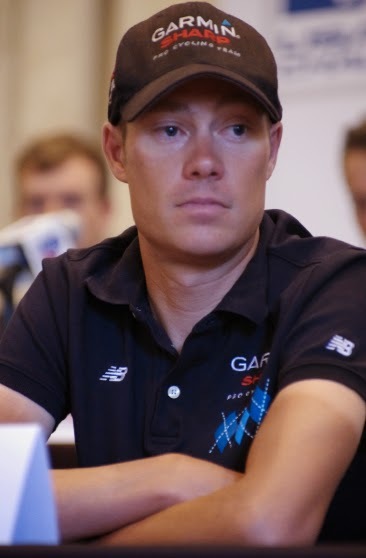 Race Director Jim Birrell explained that the parcours are planned based on timing in the season, altitude, weather and terrain. 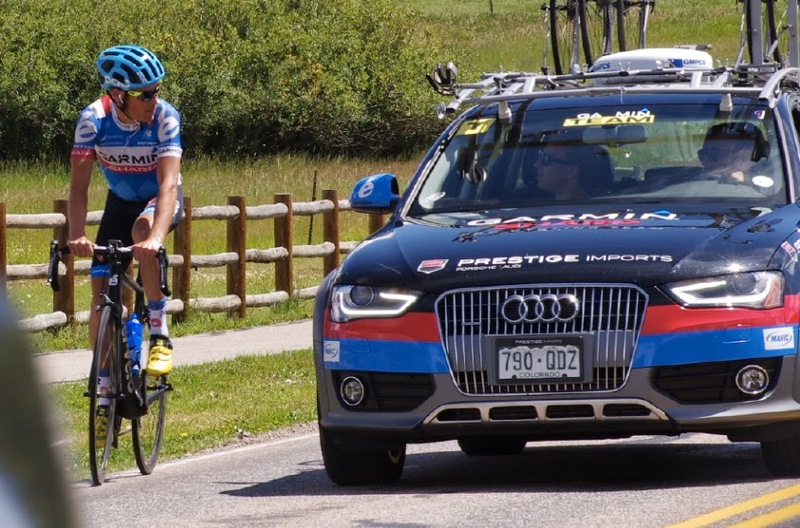 The at times appearing catatonic riders came to life at this question and their response was to begin grabbing the mics to state their agreement and appreciation in the design of this year's route through Colorado. It is tough enough and they really appreciate being a considering factor in the design of the overall route. 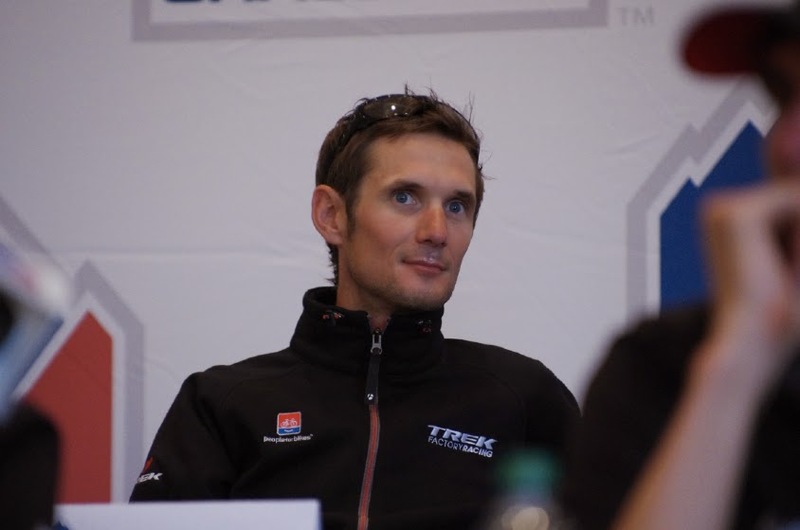 As Frank Schleck stated, "They planned the route with their eyes." 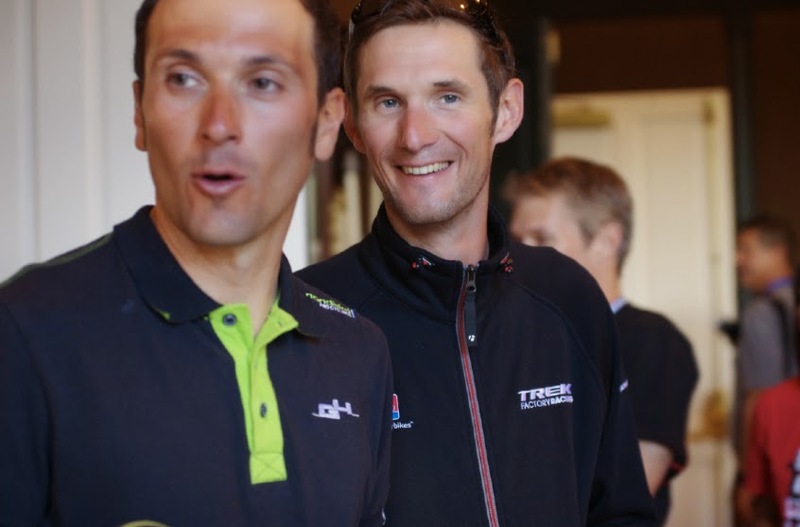 It was also nice to hear Fränk Schleck say he wouldn't have missed Jens' farewell tour for anything, they have ridden together on the same team for many years. 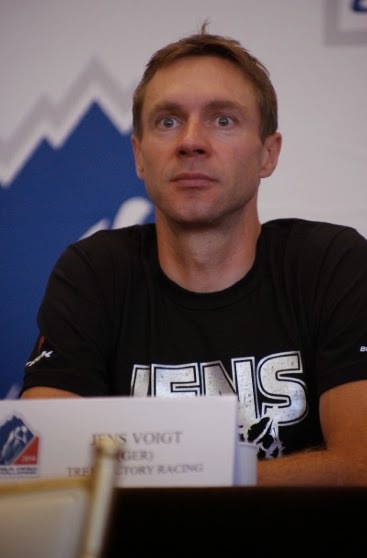 And yes, this is Jens Voigt's last race. I and many other fans are thrilled to be part of #FarewellJens. The morning started with a hike (for me and my dog), a little time in the Media Room, and then some time out on the road spotting teams in training. The weather was spectacular. 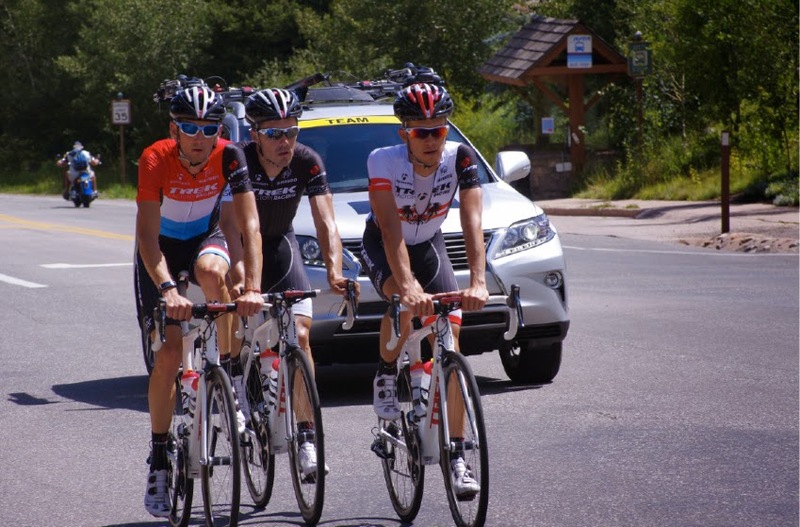 Aspen is simply the PERFECT host city for a stage race start. 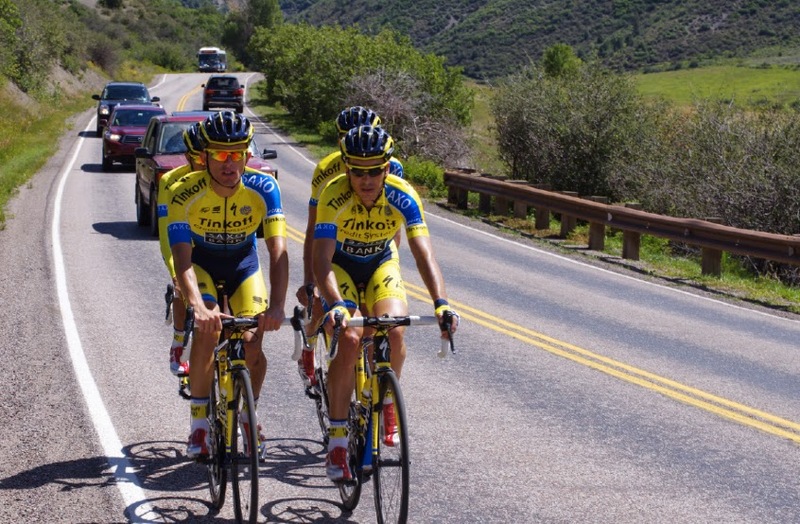 That would be Rafal Majka and his Tinkoff Saxo team training. They gave me a "Ciao Bella," made my day! I saw lots of other riders and teams, all with a ready wave hello. Super fun morning along the route of Stage 1. 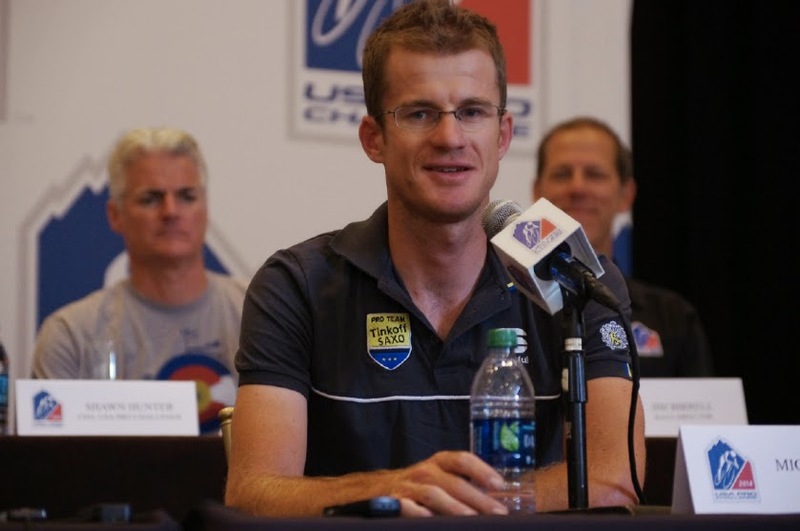 The riders watched the USA Pro Challenge promo video. They like watching bike racing as much as we do. 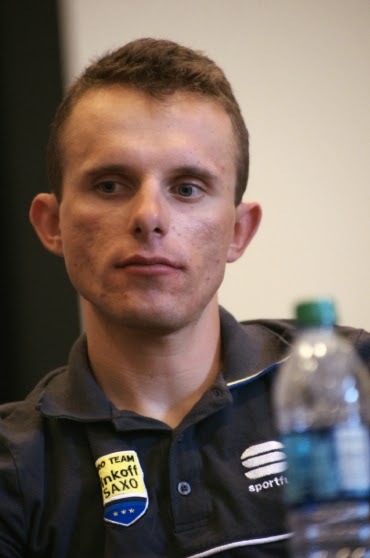 Ivan Basso spoke with meaning and emotion in very excellent English. He has charm galore. 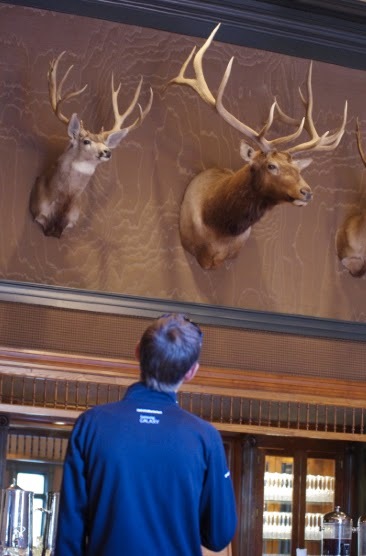 My favorite photo of the day was when Frank Schleck walked out of the press conference and noticed the elk hanging on the walls above him inside the Hotel Jerome. He stood there studying them very closely. He comes from a family of cyclists, fishermen, and hunters. 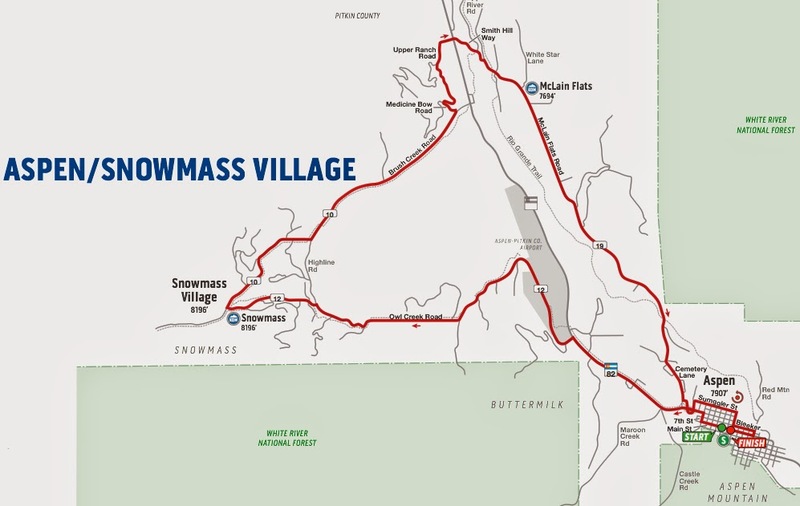 Aspen circuit race, 3 laps of nearly 22-miles each, and 2,300 ft. of climbing per lap. Race Begins: Approximately 2:40 p.m.! they changed the start time! Race Ends: Approximately 4:45 p.m.
2:40pm - Race Start, Race Finish at 4:45pm. Podium presentation 30-minutes after the stage finish. 12:00-5:00pm - VIP tickets: buy start/finish tent $350 each. Where: Main St., Aspen. 4:45pm - Race Finish on Main St, Aspen. Podium presentation 30-minutes after the stage finish. 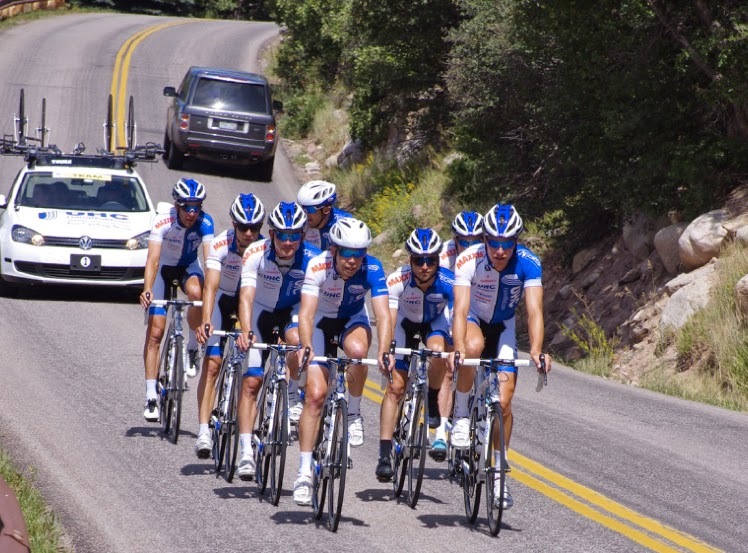 http://www.aspenupcc.com local Aspen city race website.